Mangoes placed on import alert; 121 sick in U.S.
Mangoes from a Mexican supplier with several plantations and a single packing house have been tied to an outbreak of salmonella infections that has sickened 121 people in 15 U.S. states and sent 25 to the hospital. The outbreak of salmonella in mangoes also sickened at least 22 people in Canada. Food and Drug Administration officials warned consumers on Friday against eating mangoes produced by Agricola Daniella, a producer in Sinaloa, Mexico. The firm has been placed on import alert, the agency said. That means the fruit will not be allowed into the country until the supplier proves the mangoes are free of the pathogen through independent laboratory testing. At the same time, the Centers for Disease Control and Prevention updated cases in the outbreak of Salmonella Braendreup that has sickened 93 people in California and eight people in Washington state, as well as a few each in 13 other states. Dorothy Pearce, 92, of Stanwood, Wash., is among 121 people in the U.S. sickened by contaminated mangoes now on import alert. 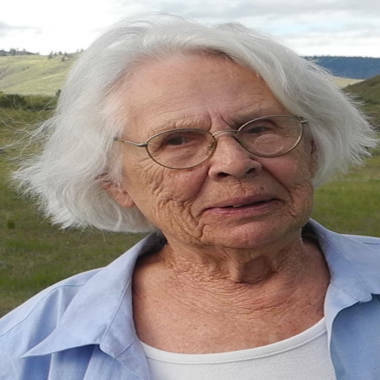 She's shown here in August, the weekend before she became ill.
One of those victims was 92-year-old Dorothy Pearce of Stanwood, Wash., who was hospitalized for 10 days after eating mango, a favorite fruit since childhood, her daughter said. Health department officials confirmed that Pearce was sickened by the outbreak strain of Salmonella Braenderup, Trisha Pearce said. The Pearce family is represented by Seattle food safety lawyer Bill Marler, who said the lawsuit is the first filed in connection with the salmonella outbreak tied to Daniella mangoes. Like most victims of severe salmonella poisoning, Dorothy Pearce suffered fever, diarrhea, nausea and stomach cramps. The illness has weakened the previously active artist who had just displayed her paintings at a local fair. “To think that just to eat something can make you this sick. She’ll never eat another mango again,” said Trisha Pearce. The recalled mangoes were sold at retail outlets across the United States between July 12 and Aug. 29. They can be identified by the Daniella brand sticker and one of the following PLU numbers: 3114, 4051, 4311, 4584 or 4959.